Dell EMC announced that after just 419 days since shipping, Its Dell EMC Unity family of All-Flash and hybrid flash storage arrays has achieved $1 billion in cumulative bookings, making it one of the fastest-growing storage products in company history. Dell EMC Unity delivers best-in-class All-Flash and hybrid storage performance and simplicity for the midrange with integrated support for block and file data. Since May 2016, nearly 6,000 customers have selected Dell EMC Unity to address block and file storage workloads such as databases, file systems, server virtual machines and virtual desktop infrastructures. 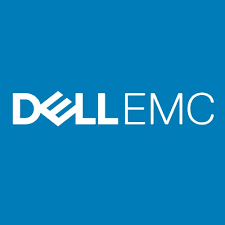 At Dell EMC World 2017 in Las Vegas, Dell EMC introduced four new Dell EMC Unity All-Flash models – Dell EMC Unity 350F, 450F, 550F and 650F – providing up to 500TB of effective storage capacity per single U, and the introduction of a highly dense 80-drive, 3U footprint. All new Dell EMC Unity models available in July include a 4x larger file system with online file compression, integrated Copy Data Management (iCDM) with snapshot mobility, an introduction of Dynamic Pools offering simpler mapped RAID protection and support for external encryption key management via KMIP (Key Management Interoperability Protocol). Additionally, Dell EMC Unity features an 8x increase in density and 8x more effective file system capacity than its predecessor, as well as the ability to install in under 10 minutes, 33% faster than previous generations.